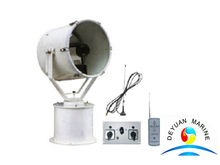 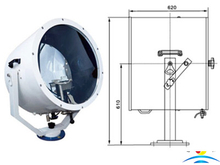 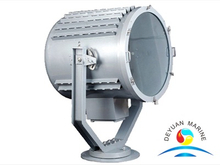 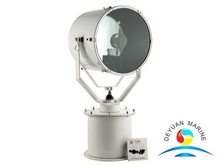 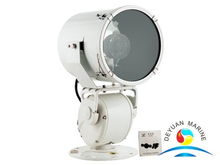 Marine search light is designed to provide far distance illuminatoin and searching when night navigation, especially for illumination of sea-route and two banks and surface search when across the complex water area, such as narrow channel and the inland river riverway, etc. 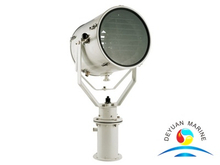 Alvailable power for searchlight is 250W,300W,500W,1000W,2000W,3000W with voltage 220V/50HZ, 220V/60HZ, illuminant with tungsten halogen lamp,Sphericity Mercury xenon lamp,incandescent focus lamp are for option. 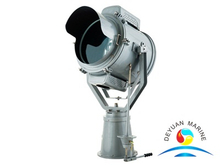 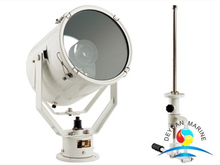 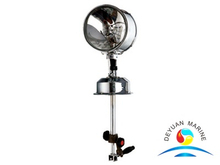 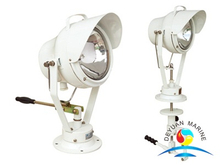 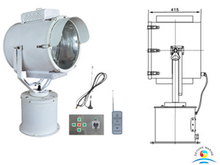 If you are looking for any other different search light, pls contact us for further discussion about the marine searchlight.